Something unremarkable happened on June 27, 1969 in New York’s Greenwich Village, an event which had occurred a thousand times before across the U.S. over the decades. The police raided a gay bar. The events that followed marked the beginnings of the Gay Rights Movement. The Stonewall riots were a series of spontaneous, violent demonstrations against a police raid that took place in the early morning hours of June 28, 1969, at the Stonewall Inn, in the Greenwich Village neighborhood of New York City. 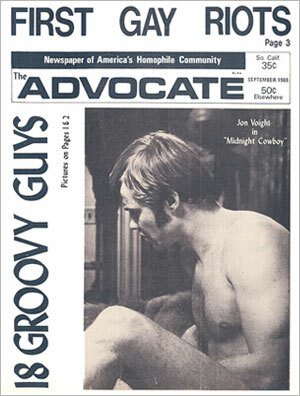 They are frequently cited as the first instance in American history when people in the homosexual community fought back against a government-sponsored system that persecuted sexual minorities, and they have become the defining event that marked the start of the gay rights movement in the United States and around the world. For more information about the beginnings of the Gay Rights Movement in the United States and the Stonewall Riots, please check out my series of post on Stonewall. This entry was posted on Wednesday, June 28th, 2017 at 9:52 am	and posted in History, Uncategorized. You can follow any responses to this entry through the RSS 2.0 feed.